Informational site, with FAQ's, Printable Special Coupons, and Cleaning Tips. Carpet Pro is a local Grass Valley company specializing in all your carpet and Upholstry cleaning needs. 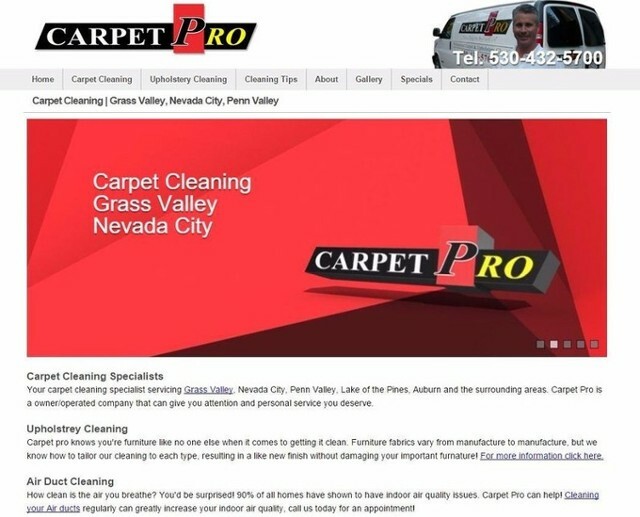 Servicing Grass Valley, Nevada City, Penn Valley, Lake of the Pines, Auburn and the surrounding areas.